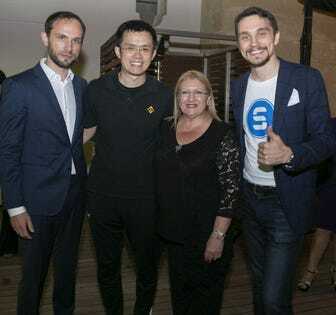 Highlighting Malta’s forward-thinking leadership, Zhao, stated, “This is a country where the leaders and the government understand blockchain technology.” He encouraged more companies to learn about and explore establishing in Malta, where Binance announced the launch of the country’s first fiat-to-crypto exchange earlier this year. “I envisage that the gardens will provide a soothing distraction, and help the patients achieve a sense of control; encourage family and friends to be with their loved ones in a pleasant, social environment; and offer opportunities for movement and light exercise. The proposed gardens will thus form an integral part of the Oncology Centre,” said her Excellency, President Marie-Louise Coleiro Preca of Malta. Too often the cryptocurrency and blockchain community speaks of what may someday be possible with this new technology. We believe it is time to show what is possible now and to use our knowledge and expertise towards changing lives for the better. We are on a mission to bridge the gap between decentralized finance and the people – and we are delighted to be able to contribute to this wonderful initiative and help usher philanthropy into a new era, said Gregory Klumov, CEO and Founder of STASIS.